Monday while at lunch Twitter blew up because of the attack at the Boston Marathon. 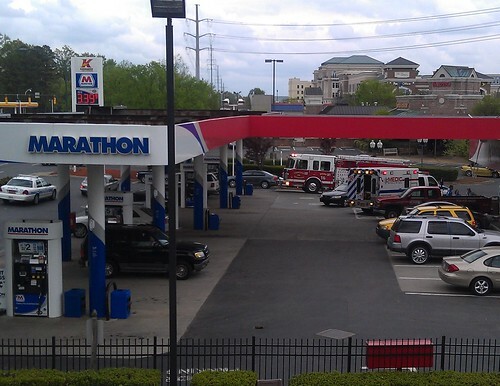 Simultaneously, next to the McDonald's where I was eating EMS vehicles were roaring into the Marathon gas station next door. It was a little surreal. Tragedy at the Marathon. Your gas is only $3.39?